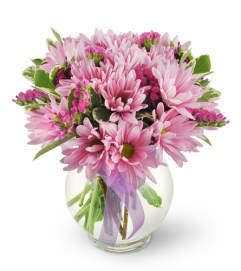 This is a beautiful lavender, soft pink, and white arrangement in a cube glass vase. 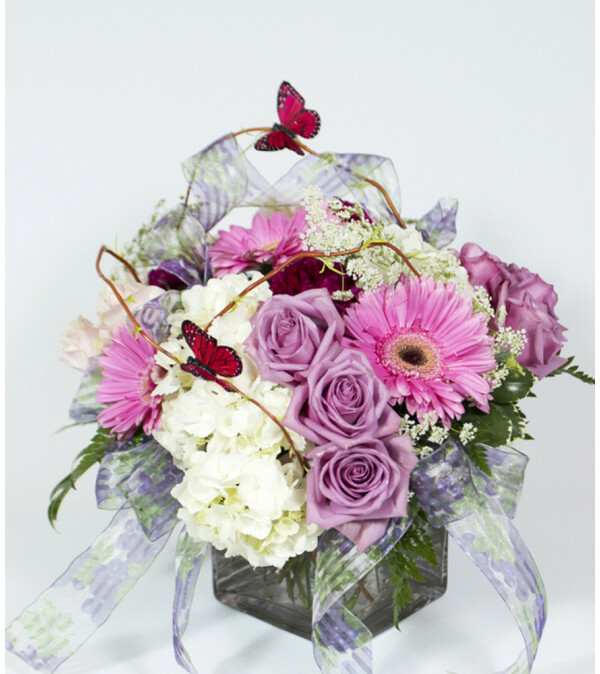 Flowers include roses, purple carnations, hydrangea, gerbera daisies, queen anne lace, curly willow, ribbon work and butterflies. 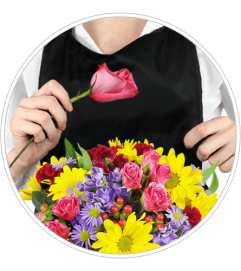 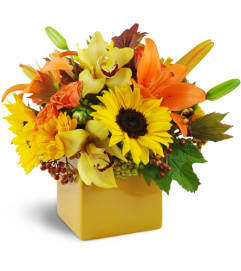 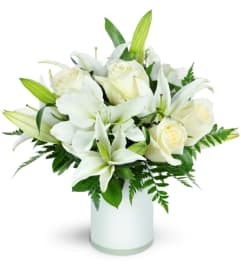 We will use the best seasonal flowers to substitute unavailable varieties.